We aim to be at your job as soon as possible we are a small passionate team who will put you first. Revolution Plumbing and Gas Ltd has been built from the ground up by its owners to try and be as efficient and affordable as possible while delivering a high standard of workmanship and customer satisfaction. At present we are getting a lot of Calls regarding whole house water filters, inline filters to remove that disgusting chlorine. Our team consists of a Certifying Plumber and Certifying Plumber/Certifying Gasfitter, with 15 years experience in residential and commercial jobs we have seen and dealt with most plumbing and gasfitting problems out there. Currently we offer a great price on a Gas Hot Water conversion for $2800. Disconnection/removal of your existing hot water cylinder. Gas bottle station, auto changeover regulator and rain cover. Connection to existing hot and cold pipework in the house and pipe to and from the gas water heater. Gas compliance certificate for your records. We can also connect up gas cooking for the perfect fry up. All subject to a site visit to determine suitable location of bottles and gas unit. Work will be undertaken by certifying/ craftsmen plumbers and gas fitters, owner operators. Revolution Plumbing and Gas completed a gas hot water conversion at our place and ran a gas line to our new gas hob which they also commissioned. Simon passed on plenty of helpful info and useful advice during the initial consult and the job was done quickly and was clean and tidy. We’re very happy with job that Simon and his team at Revolution did for us. fantastic job very tidy workmanship, on time and very friendly.had gas water conversion done would never go back to hot cylinder water again, only regret not doing it sooner, would recommend simon and his team to anybody. Great job done installing gas hot water. Fast, efficient and friendly to deal with. Highly recommend. Would use Simon and team again and again, In fact we did! Had a tricky Gas Conversion to do and that was a breeze for the team. 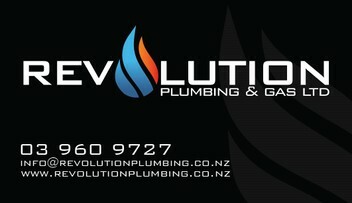 Have added Revolution Plumbing and Gas to the contact book for the next projects. 100% job satisfaction. Had a gas hot water system installed by Simon and his guys at Revolution Plumbing. They had an opening in their schedule and managed to install the gas the following day after asking when they could do it. They project was completed quickly and the workmanship was excellent. Highly recommended. Thanks. Highly recommend Simon. Diagnosed the probable cause of a bad smell over the phone. Organised the repair within a couple of days of the initial phone call. Also installed a whole house water filter, replaced the old galvanised pipe under the house and serviced our gas hot water unit. Good to deal with on the phone and via email. Thanks Andy for your friendly & through servicing of my Gas Fire. We used Simon and the team, wow talk about fantastic, they were amazing. I would highly recommend them. Had these guys install our new gas hot water today was a breeze to work with these guys, very helpful talked us through the process from start to end. And were so neat clean and tidy made a smart looking install really really happy with the job they did. This is the second time I install my gas hot water with Simon, they do a really good job, and I recommend him to all my friends who wants to install a gas hot water system. Can only speak of really good service and workmanship from the team. We were stranded without hot water just before Christmas and Simon managed to fit us in. The team were very professional and did a great job. Will definitely use them again if need arises. Cooking with gas......great service, competitive price and sterling job. Thank you. Excellent job, prompt service and at a very competitive price. Well done! What a brilliant service! Our burst pipes caused lots of stress but the plumber was on site within seconds and the problems disappeared! The plumber was very helpful, extremely knowledgeable and completely reliable. Would highly recommend to anyone and would definitely use again! If you hear that dreaded "drip drip" of a leaking water cylinder and want a solution fast, ring these guys. Total professional service, quality job and timely. From first call, within three days had a gas hot water system installed and running. Highly recommend. Fantastic service!!!. Very informative in process and quote. Installer very helpful and efficient too, happy to recommend and use again. Very Happy with the service from Revolution, good communication, came when he said and charged what he quoted. would definitely use Revolution again.